This version of The Bodhi Tree was designed for a Michigan couple who met me during my summer travels through Petosky, MI. Steve and Nancy saw another version of The Bodhi Tree in my booth, but it was too big. So I designed this one for them and shipped it out. 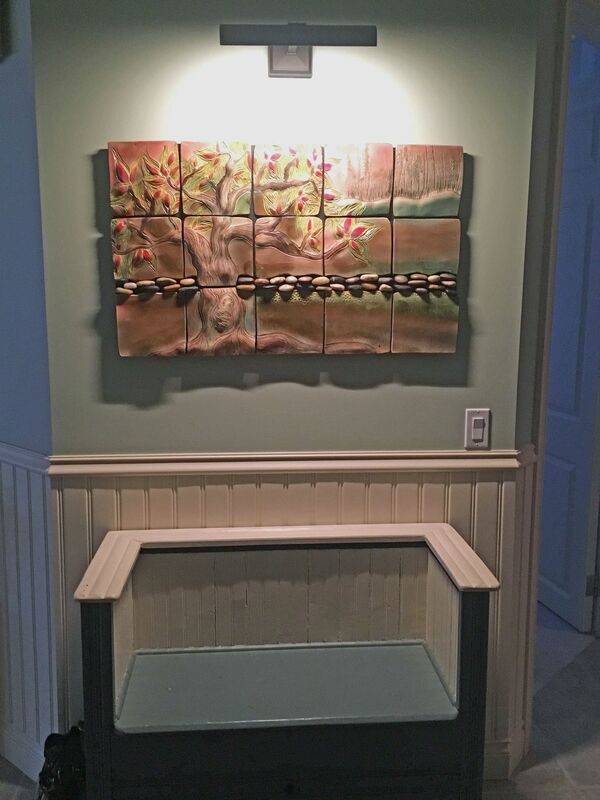 It is a perfect fit for the entry to their home.